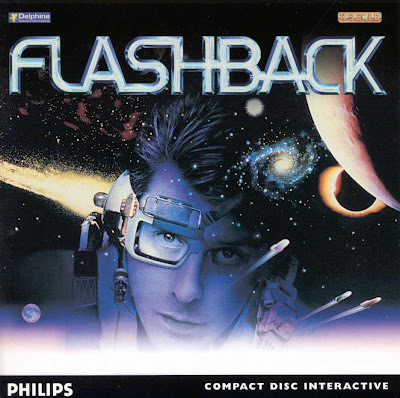 Many conversions were made with the likes of Flashback, Striker Pro, Litil Divil and a multitude of other titles what incentive made developers convert these games to CD-i? Steve: Conversions weren't always easy and with the small market share most developers didn't want to tie up their 'A' class coders on doing CD-I conversions. But many games developers during the PMG period moved to being cross-platform development. Larger outfits were geared up with a lead development team who would then filter the core game engines developed on a lead platform to other less skilled (and cheaper) teams for porting and adaptation to other platforms. Honing the process; factory-like, it was possible to maximise profits per title across several conversions that could be released at the same time or close to. Sometimes the large developers on massive projects would get smaller development houses to do conversions for them. I remember working closely with Arc Developments on the CD-I conversion of US Gold's World Cup Golf and also Tiertex's Flashback conversion. Eventually doing a conversion on CD-I even smelt of profit one way or another. Initially though we played catch-up, converting titles that had previously been successful on other platforms. Lemmings for example, a sure-fire hit and eminently doable. I remember being sat in Psygnosis' office beside the Liverpool Docks and Ian Hetherington giving us his seminal view of the future boom and bust of the games industry and how a new platform ought to be pitched to the development community if ever it was going to make it. I remember him briefly giving us an overview of the Psygnosis business, the software development side, the publishing arm and most interestingly the tools development side, which he skimmed over far too quickly. I remember being left with an overriding sense that we didn't stand much of a chance. Small as we were though we were used to being told we were doing the impossible. It didn't stop us. Out of that first meeting with Psygnosis came the conversion of Lemmings to CD-I. It was actually done by the original developers DMA Design (aka Rockstar North). Another meeting that day was with Paul Finnegan of Rage Software. It was a pretty good day in that ultimately we also got us Striker (re-branded as Striker Pro) but for what ever reason (maybe the Rage programmer had blanched at the prospect of a CD-I conversion) Rage got paid for the rights allowing Philips to convert the title and I, through a circuitous route, ended up becoming its in-house producer at Philips' Freeland Studios in Dorking. With Striker Pro I went in deep, even arranging the screenshots, box art, instruction booklet, game cheats as well of course ensuring the game was completed and fully tested and the master 'Green disc' hand carried to the mastering facility in Hasselt, Belgium in order to hit the shelves before Christmas. Why was Philips' main focus on existing intellectual properties for the games over original ideas and content? Down to money I guess. An original title even back then could cost £100's of thousands if not £million+ if it was going to compete with every other publishers titles. In order to re-coup development spent and reap maximum profits, a title at that time would have to be released cross-platform. Whereas acquiring the rights to do a conversion would cost significantly less. Philips had reportedly spent whopping great sums already (WSJ Jun 28, 1996). But some original titles did get through such as Burn:Cycle and the little known Down in the Dumps from Haiku Studios. A title that never saw the 'light of day' as far as I'm aware involved us hiring The Roundhouse and converting it to a huge blue screen arena against which actors were filmed walking around and re-enacting fights on a massive blue treadmill. (ah Rotoscoping, happy days). I don't know what happened to that one sadly but I'd love to know. Cross-platform development on other consumer electronics manufacturers boxes was always going to be 'difficult' given where the parent company had wanted to be so the only palatable options were PC, which at the time was a hugely fragmented market and notoriously difficult to tap (and possibly the Mac). A few high profile games were announced but never saw the light of day including Return to Cybercity, Microcosm, Litil Divil 2 and the eagerly anticipated Discworld. Were you involved in the negotiations to bring these games to CD-i? and if so do you have any anecdotes to share? Steve: I wasn't involved much with games that originated out of the US so I can't comment on them but I recall Microcosm came from the Psygnosis' stable. Robin Keir gives more of an insight into what happened there than I could. Litil Divil 2, just like the first, was a massive undertaking by Gremlin Graphics Ireland. Sadly I'm not sure Gremlin Graphics Ireland was still in existence by the time they would have got around to doing the CD-I conversion. Discworld, I don't know as I left before the closure of the TCR office but I remember being at the Discworld launch for other formats at a club under the arches at Embankment and meeting Terry Pratchett. Meeting the very pleasant Jez San for the first time and even before the age when '...everyone is always available...', taking a business card with all his numbers on plus about ten different email addresses. Tasting my first Balti in Leamington Spa with Ashley Hogg (converted Micro Machines to CD-I) and his beloved Kathryn. Up until that point I didn't know what food was. Chatting to John Mc Laughlin, the CD-I Lemmings coder at DMA, and hearing a chorus of "...Oh no's..." detonating in the background - straight from source, lovely! Wow. Takes me back. Did you know 7th Guest has its own Facebook site? Nice to hear about some of the old days, Steve.